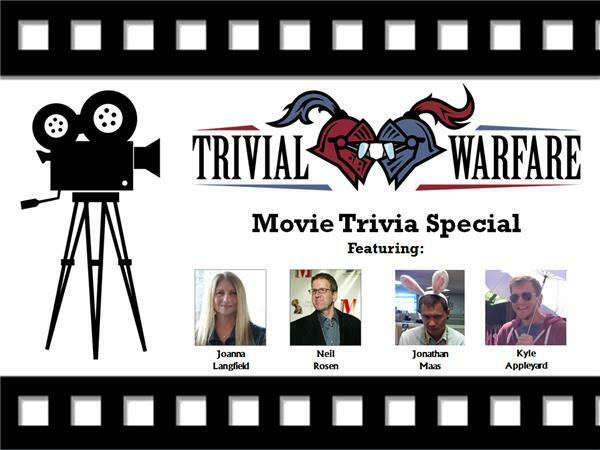 We're sharing this special All-Movie Trivia show right on time for the Academy Awards! We're joined by two professional movie critics and two movie loving podcasters and we're pitting them against each other to see who really knows more about movies. On the movie critic team we have Emmy Award winning movie critic Neil Rosen (Sitting Around Talking Movies) and internationally syndicated movie critic Joanna Langfield (The Movie Minute). The podcaster team features Jonathan Maas and Kyle Appleyard, two up and coming talents from Shark Dropper Studios. Their Dopple Avenue Hurt podcast is a quirky and enjoyable mix of film noir and intelligent humor. It comes highly recommended! Enjoy the show. It's one of our best yet!